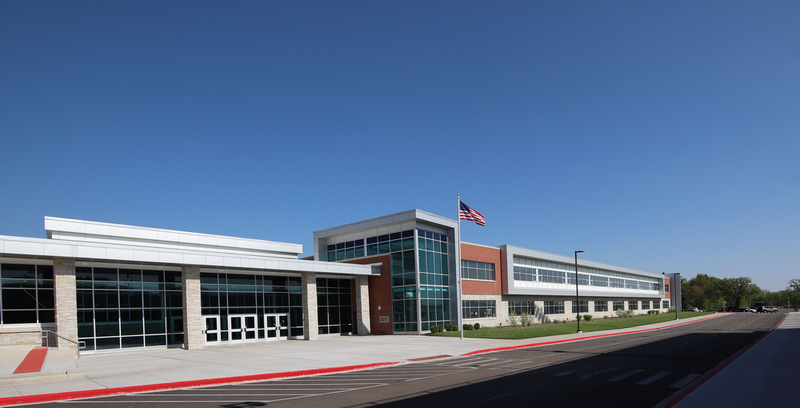 East Aurora High School's expansion and renovation marks a significant advancement for the students, faculty, and administration. The work, designed to address capacity and congestion issues, not only boosts the stakeholder's morale, but also the school's image. Building a better atmosphere creates value while fostering a sense of pride for all involved. "It's been humbling to say the least," East Aurora High School Principal Marina Kosak said. "Because a lot of times it was, this is East Aurora, and they never thought they would have such a beautiful space." The investment in East Aurora High School is also an investment in the community. Ms. Kosak, added, "The kids are in awe." Many challenges with the existing facility were addressed in the new addition and renovation to realign the school with 21st century learning objectives. Prior to construction, the school's hallways were overcrowded, making it difficult to navigate from one classroom to the next. A significant reconfiguration of the hallways has greatly reduced congestion, allowing students to arrive at their next class in a timely manner. With the addition and renovation of over 300,000 SF of facility space, the 4,000 students now have more elbow room. 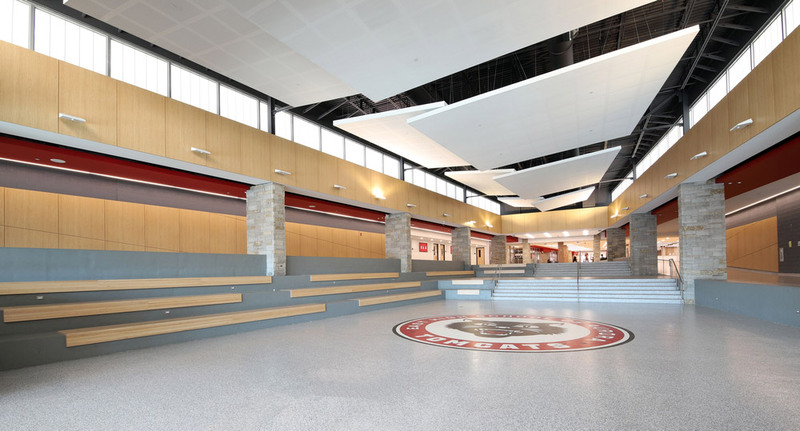 A new entrance with an open-forum plan, bench seating, and 28-foot ceilings creates a fully functional multi-purpose and gathering area for student activities and functions. In addition, there are 20 new classrooms, a fine arts wing, and a new kitchen. The new kitchen area provides a unique community function with an integrated yet separate secure area that houses the Marie Wilkinson Food Pantry, serving needy students daily within the building and on Saturday serving the community. Student-dedicated spaces once located in the corners of the building are now center stage: The career center and student-run school store are at the new crossroads of the building, adjacent to the cafeteria and library. Renovations also provide a new cafeteria, library, and locker rooms, as well as a state of the art culinary area. The work, part of extensive planned renovations and additions throughout the district, is for the most part complete. One final stage, which includes renovated science rooms, will be completed this summer. Renovations provide a cafeteria, library, culinary arts area and locker rooms. 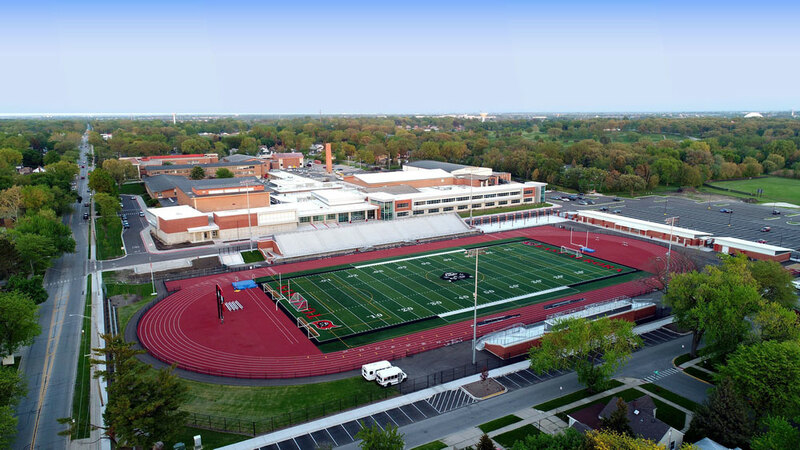 Environmental concerns and a track that did not meet IHSA standards for competition and has not held a competition in over 7 years, were among many items that were addressed with the construction of the $7 million state-of-the-art stadium. Designed for football, track, soccer, JROTC, and physical education classes, the well-equipped stadium seats 3,500 and features artificial turf, an expansive press box with separate rooms for opposing teams, concession stand, energy-efficient LED lights, a brand-new scoreboard, and a paver area complete with donor names to greet visitors at the front entrance and display the Tomcat pride. Cordogan Clark minimized disruption to students and staff throughout the project. 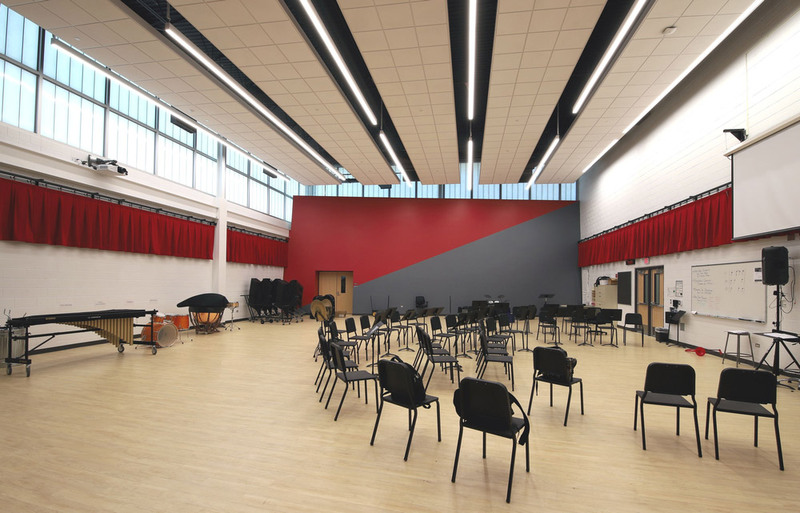 Through strict scheduling and a phased construction approach, the team completed the renovation work during the summer when school was not in session. The additions were worked on throughout the year, with the final phase of the addition opening at the start of the second semester.